Does your dream wedding include stunning blue skies, a warm sea breeze, and a brilliant view of the ocean? If so, then consider having your wedding in Cyprus. Known for its picturesque coastline, Cyprus is filled with beautiful beaches, ancient villages, historical landmarks, and endless flower fields to explore. Its lively nightlife and hometown restaurants make this island the perfect destination that caters to all tastes and interests. Situated in the Mediterranean with a whole year of sunshine promises perfect weather with clear blue skies. It is also the birthplace of Aphrodite, the goddess of love, which makes it the perfect location for romance and enchanting charm. If you are getting married in Cyprus, choose the right package to fit your needs. We highly suggest that you contact a number of wedding planners and companies and get an estimate on their costs. 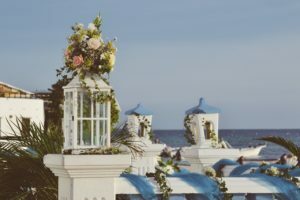 Many wedding packages in Cyprus include hotels, venues, photographers, cakes, wedding floral arrangement, cars, and more. Not only will this help you pay for everything in one go, you must also save money overall.